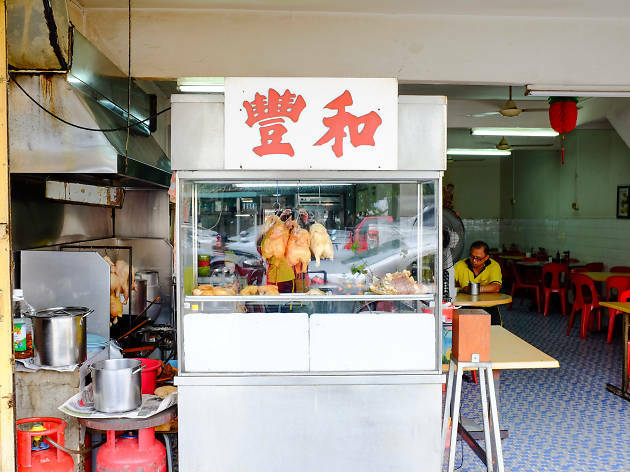 If there’s one thing Hoe Fong has nailed, it’s the chicken. Instead of roasted or steamed, it’s deep fried in a wok, hot and heavy with cooking oil, so that it emerges with crisp, glistening skin and is served with a few slices of cucumber, rice, soup, chilli paste and ginger. 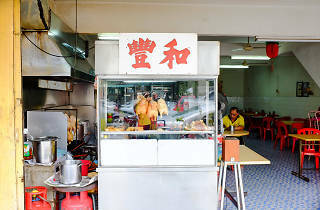 Also try: the Penang lor bak is a must-order, and trust us, it’s not too peculiar a partner to fried chicken and rice.